When the DOEK festival in Amsterdam invited him to put together a group for a concert, John Dikeman seized on his opportunity to ask bassist William Parker and percussionist Hamid Drake to join him in a trio. 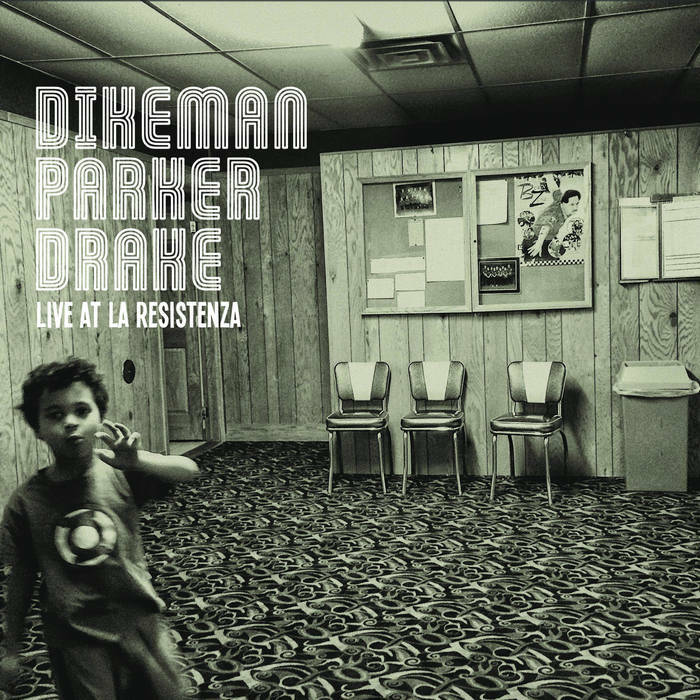 Parker and Drake are perhaps the most empathetic musicians on the jazz scene, and it is clear on this recording: you’d think they’d been playing with Dikeman for years. “Gratitude” opens the concert with his huge and brawny toned saxophone and Drake’s rolling drumming developing a fast and powerful performance. The trio builds an open and dynamic sound that is tremendously exciting as Dikeman’s saxophone slices through the air leading an unfettered improvisation with an open throated howl. He lays out to allow Parker and Drake to develop an even deeper rhythm before returning and leading the band back into “Invocation” with his Pharoah Sanders/Charles Gayle like saxophone tone. They slow down momentarily, allowing for rumbled percussion and long tones of saxophone and a gentler more open feel to develop before ramping up to the power level of the music that had preceded it. They are a storming unit that moves as one, with the bass and drums always moving as demonstrated during a short solo spot for William Parker’s bass, which is deep, thoughtful and very in the moment. Drake’s drumming joins back in and powers the group into “Bad Uncle John!” with a massive rhythmic blast of limitless potential and Dikeman’s saxophone returns with bright peals and shrieks of coruscating sound. There is a collective improvisation with a massive concussive block of drums and like the previous two sections; it ends with an area for bass and drums. “WY Funk” is the last part of the improvised suite, with deep and resounding saxophone playing in an upbeat and joyous fashion backed with nearly swinging drums. They do move back into a stronger and more dynamic section, playing with heavy ferocity featuring taut bass and powerful drums. This was a great album of boundless free improvisation with the great Parker/Drake team a perfect match for Dikeman’s charismatic and imaginative playing. The format of the music allowed for sequences of trio and solo sections that were all impressive and triggered a wide array of frenzied performances. 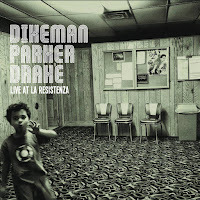 Dikeman/Parker/Drake - Live at La Resistenza - el NEGOCITO Records.